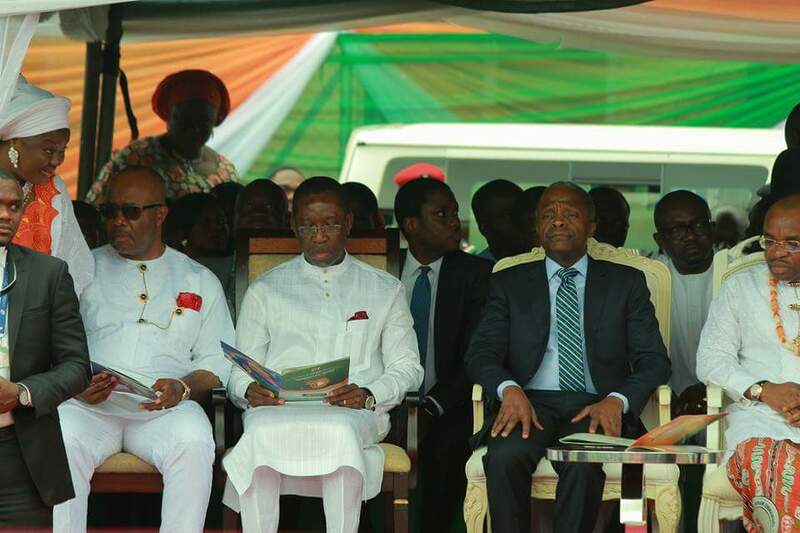 Nigeria Vice President Prof Yemi Osinbajo, Delta State Governor Arthur Okowa Ifeanyi Attend Akwa Ibom at 30 Anniversary Thanksgiving Service at Uyo Township Stadium. From the first day of September 2017, the state has lined up drums, while approaching the throne of God to seek His blessings for the 30th anniversary celebration of the state’s creation through prayers and fasting. Comrade Ini Ememobong, the People’s Democratic Party, (PDP), Akwa Ibom’s State Publicity Secretary who applauded the leadership competence of the last three democratically elected governors of the State, attributed the hand of God to their emergence. He said, “I am excited to live in Akwa Ibom at 30, I thank God for always intervening in the selection of leadership in Akwa Ibom. Arc. Obong Victor Attah was not the richest candidate during his period, but God made it, that a lot of people chose him through a consensus. Obong Attah was one of the best Governors during his time, he fought for resource control, and at that point Nigerians were not expecting Akwa Ibom people to be able to speak up, but God brought an Obong Attah, who gave us reason to speak up and strong voices at the National Assembly. Blessed with ten governors, six military administrators and four civilian governors since creation, namely; the State is host to Mobil Producing Nigeria Unlimited, a subsidiary of ExxonMobil Limited. Akwa Ibom is the largest oil-producing State in Nigeria. Vice President Yemi Osinbajo also commissioned the biggest Syringe Factory in Africa, and an Electric Metering Plant in the state. He also commissioned the refurbished General Hospital, Etinan and an inspected some of the Micro, Small and Medium Scale Exhibition.